the dinner. During this time I was introduced to Trudy Thomas, director of beverage for the Camelback Inn. Trudy introduced me to the other guests and we chatted and mingled while sipping champagne in the reception area before being seated in the private dining area. Trudy gave me a quick tour inside the wine cellar. While not large in terms of quantity, this cellar is impressive for its big Napa and Bordeaux representation. There is at least $100,000 worth of wine in a long narrow walk in cellar that resembles a library in a mahogany hallway. Trudy is one of those people is truly passionate about what she does. What she does is manage all the beverages for the resort, and among other things she helps create the winemaker dinner experience. She has a perfect job, but it’s definitely not just luck. Trudy has 18 years in the wine business and is the only person to have taken both Society of Wine Educators CSW and CWE exams on the same day and passed. 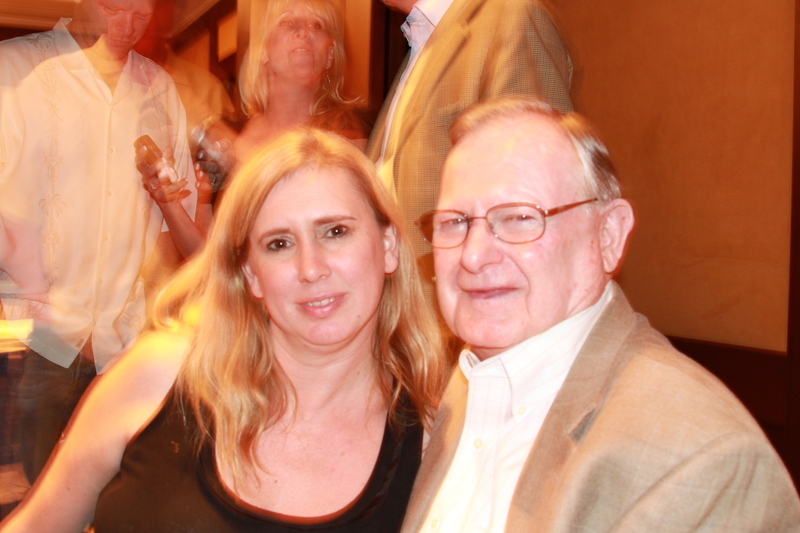 I met the man who administered the test and he said that Trudy actually knows even more about spirits! She is meticulous with the details of every aspect of each wine maker dinner. She can spot a spot on a glass a mile away. In fact while we were talking she casually turned a glass upside down and set it back on the dinner table, it was my glass, I wondered what she was doing and seamlessly from out of nowhere a waiter silently appeared and replaced the glass with another. Trudy said that these dinners are not about making money for the resort, in fact at $85 a plate it barely covers the costs. BLT at the Camelback Inn wants to be known for being the valley’s go to place for fine dining, an experience without equal. 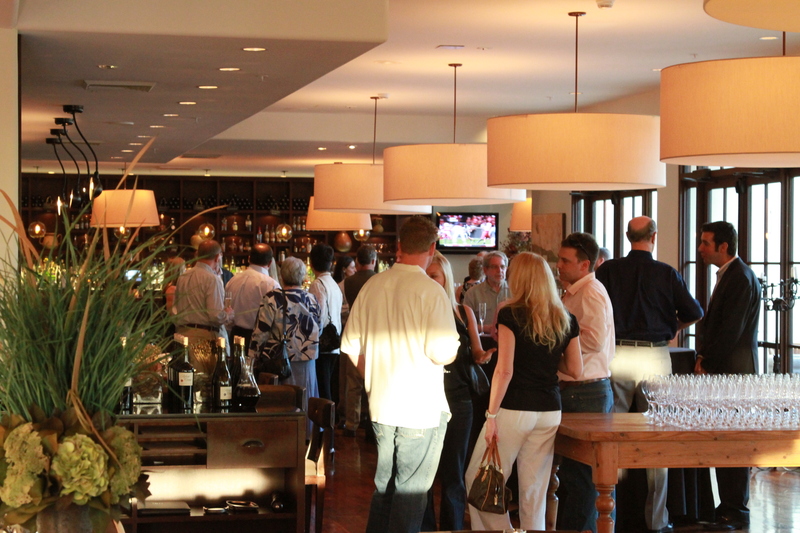 The wine maker dinners are all about showcasing their talent, their creativity and their attention to detail. 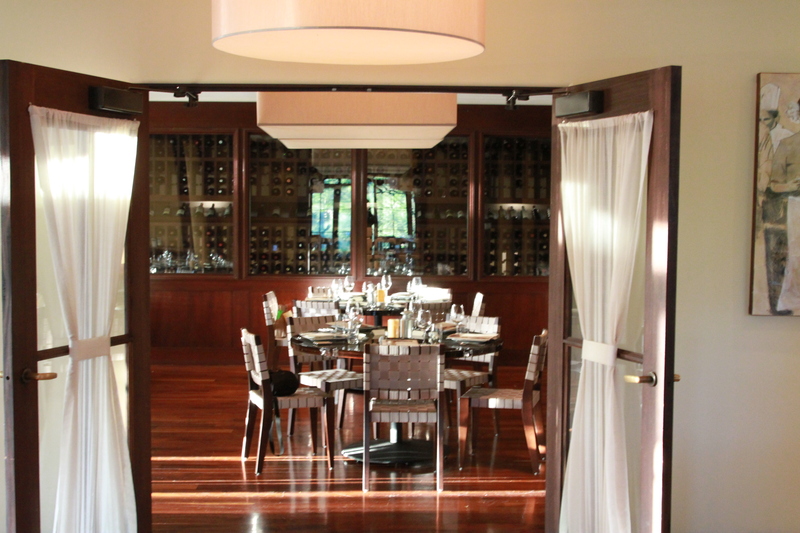 private dining area adjoining the wine cellar. Awaiting us, were glasses of Robert Craig’s only white wine. The 2008 Robert Craig “Durell Vineyard” Chardonnay from Sonoma Valley. We took our seats and awaited for Mr Craig’s arrival. He arrived to warm applause and he humbly smiled and lowered his head and sort of shuffled over to his seat. He spoke for a few minutes before sitting down. He spoke a little bit of his history, the history of the vineyards and his wine making philosophy, which is once you reach a certain point it’s not about making more wine it’s about making better wine. The first course arrived and the guests began enjoying the Chardonnay. The first course consisted of Country Style Duck Pate, brandied Cherries, a little bit of pistachio and some spicy rocket, also known as arugula. I found the Chardonnay to be a good representation of the terroir of Sonoma in terms of Chardonnay. Not oaky, not buttery, just well-balanced almost understated. As guests were finishing up, the waiters and waitresses began bringing in glasses of red wine for everyone. One of the details that Trudy employs to help keep the evening moving forward is to have the wines poured outside of the room and brought in. 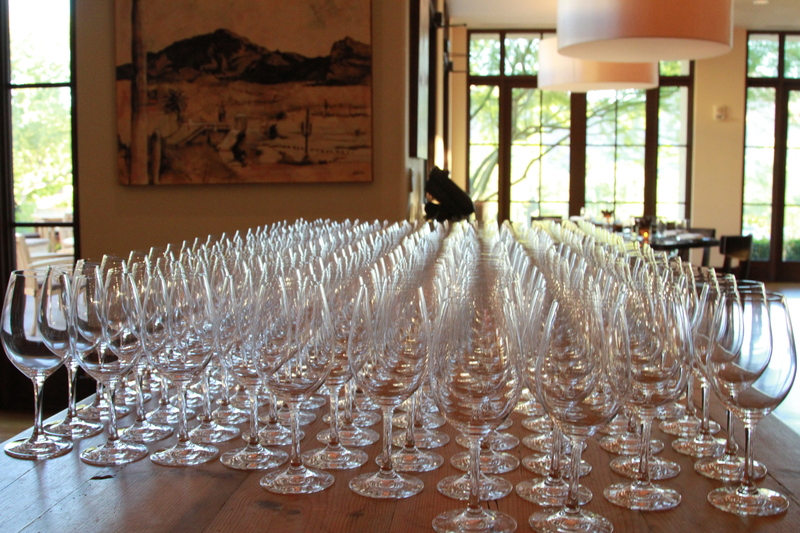 It is much quicker than moving about the room pouring the wines while the guests wait. The second course was roasted pork belly with Ricotta Gnudi, root vegetable fricassee, and crispy pork skins. This was paired with Robert Craig’s 2007 “Affinity”. 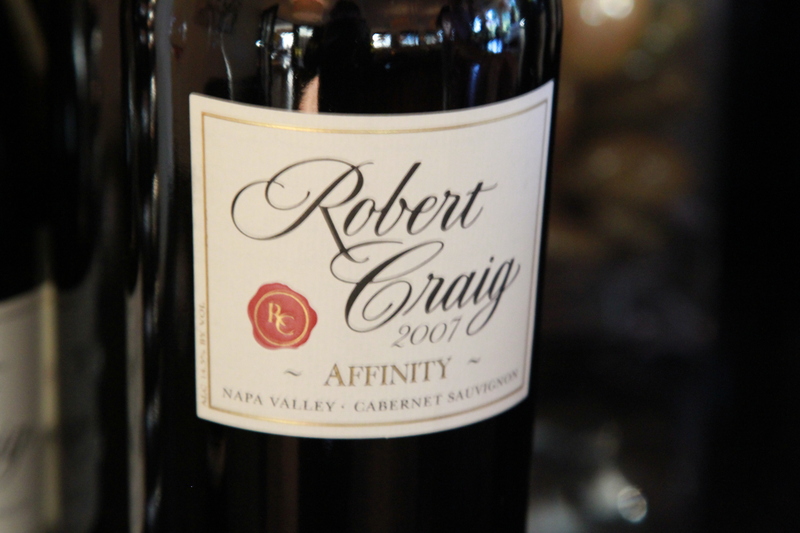 Affinity is Robert Craig Winery’s flagship wine. 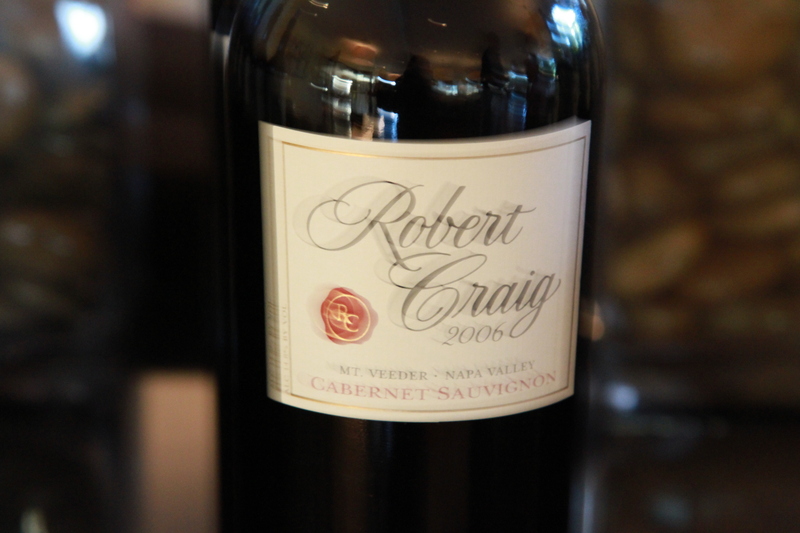 each year about 5,000 to 6,000 cases of this Bordeaux blend are made. This wine is made with the restaurant setting in mind. Which means it is to be consumed sooner rather than later, and without the need of too much decanting. 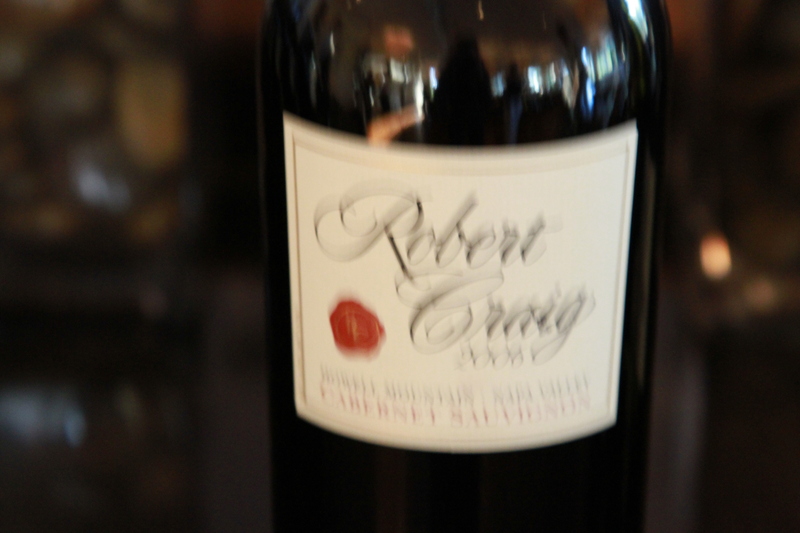 Mr Craig said that he wanted to make a wine that restaurants didn’t have to hold on to for 10 or 20 years before they are ready to drink. And just in case you think drink now means lesser quality, the 2007 Affinity received 96 points from Robert Parker. I found this wine to be incredibly smooth and supple. Perfectly balanced. One thing that really stands out is the beautiful aromatics. The wine is a blend of 79% Cabernet, 10% Petit Verdot, 8% Merlot, 2% Cabernet Franc and 1% Malbec. 5,700 cases of the wine were but I was informed by wine broker Mattias Stolpe that this wine was virtually already sold out. It retails for only about $50 so you can see why it’s almost gone. The third course consisted of hunter style Grouper stew, Lobster mushrooms, Chorizo and Northern beans. This was paired with the 2006 Mount Veeder Cabernet. It’s not common to pair fish with red wines, let alone a massively powerful mountain wine like this. But it worked, fantastically, amazingly. The Mt. Veeder Cabernet is actually 81% Cab and 19% Merlot and alcohol clocks in at 14.9% which is amazing to me because the was absolutely no heat present. This wine is still young, still just a baby. It has big bold chewy velvety tannins, it makes your mouth pucker up at this point but has a long, long finish. One of the things that Mr Craig told me about is that he feels that enjoying wine is not so much about enjoying wine at its prime as it is about enjoying wine throughout its life cycle. Enjoying and experiencing it young and enjoying it right on through to its prime and even past. Next up was the highlight of the night. Course number four was a thick, pepper crusted New York Strip, hidden under the steak were huckleberry Braised beef cheeks. I never would have thought to buy beef cheeks at the grocery store and wouldn’t have known how to prepare them, until now. I asked the chef how they made them and he said they boiled them and then seared and marinated them in wine and huckleberry. The result was stunning, delicious. The two styles of beef were paired with the 2006 Howell Mountain Cabernet. This wine was quite different from the Mt Veeder. It is much Riper and the tannins are more in check but with a seemingly never-ending finish. This wine is a blend of 84% Cabernet, 12% Merlot and 4% Cabernet Franc. Only 1,240 cases were produced. The wine saw 20 months in French oak, 75% new and 25% 2nd year. In between wines and courses Mr Craig would visit the guests at their tables, and while sitting at the table he would ask questions of me, as I was trying to ask questions of him! In his very quiet and humble way he shows an interest in people equal to the interest people have in him. We talked about his safari to Africa which is a topic close to me, as I was born in Africa and lived there until I was almost 9. I also asked him about what sorts of things, besides wine, is he interested in and he said Native American heritage and culture. In particular preserving the languages. He also enjoys sailing and given his Coast Guard background I can see why. The fifth and final course consisted of Caramelized French butter pears with Cambozola ice cream inside of a walnut crisp pastry. This was paired with the 2007 Howell Mountain Zinfandel. This pairing really pushed the envelope. The pears were delicious. The Cambozola ice cream was like ice cream made from Brie and Blue cheese. Your mind is ready for some vanilla and suddenly you are struck by the aftertaste of blue cheese. The pears really are the sweet part of the desert, and are a perfect match with the ice cream. The Zinfandel was really amazing. If you like jammy zins this is not a wine for you. This is a seriously big peppery zin but with powerful mountain tannins and a good concentration of black raspberries. Only 800 cases were produced and it retails for about $50 a bottle. While the final course was being served Chef Marc Hennessy came out and spoke briefly with the guests. He explained a little bit of the theory behind the pairings. He wanted this and the other wine maker dinners to really be a showcase for what can be done, not just for its own sake, but to make something that amazes people. He jokingly referenced the pastry chef’s insistence that the ice cream be made entirely of blue cheese by saying “There is no way there is going to be blue cheese ice cream” Instead he struck a compromise, and I would say luckily! This night turned out to be one of the highlights of the year for me. 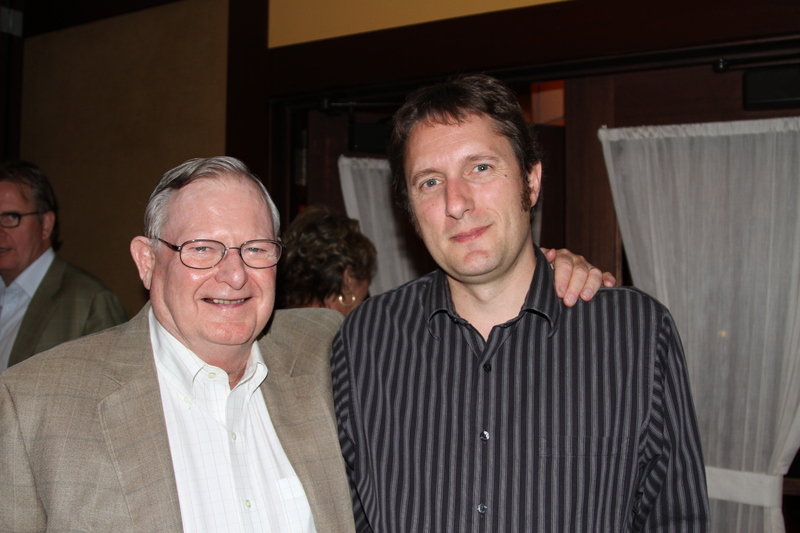 It was great to meet one of the people who has been instrumental in getting Napa Valley on the map and especially Mt Veeder, Spring Mountain and Howell Mountain. I am looking forward to future vintages as the focus on producing higher and higher quality wine continues.